For Joelle, the launch of Body Flow Osteopathy answered a life-long ambition to work independently and have the opportunity to provide the best quality of care & service, without the restrictions often imposed by larger organisations. Integrity & honesty have always been part of Joelle's ethos and it was just natural that she should extend it to her business. Joelle's osteopathic ambitions started in childhood: " I grew up in a place where recognised manual therapies of any kind were very hard to come by. Seeing my family members frequently plagued with severe back pain, I was astounded by the hopelessness of it all: no answer, no cure, no solution. I was only a few years old but I already felt compelled to help... When I came across osteopathy, I knew immediately it was for me - I'd been hearing the "calling" from a young age but now it had a name." In time, Joelle graduated with an integrated master degree in Osteopathy from the prestigious European School of Osteopathy(ESO) where she received the Elsevier Research Group Prize for her dissertation research on the Effect of Touch on Pain Perception. She was subsequently asked to present her research at the Chiropractic, Osteopathy & Physiotherapy annual conference. Joelle has a love for learning and her interest are diverse but include Nutrition, Exercise, Yoga, Psychology and various others. She is especially fascinated by the interactions and the inter-play of all those fields and their impact on health and recovery. Joelle enjoys working in general practice but has a special interest in helping people who feel their lives are falling apart and who feel they are loosing their health, mobility, energy and freedom to some nondescript illness that can't be helped through conventional means. Her fields of special interest include Women's Health and supporting people who suffer with complex chronic heath conditions. Joelle is a specialist referral practitioner with the Chrysalis Effect, an organisation who supports people suffering with M.E, Chronic Fatigue Syndrome & Fibromyalgia to achieve full recovery. She is fully insured and registered with the General Osteopathic Council (GOsC) and the Institute of Osteopathy (iO). She is also registered with some private insurance company (please check). In order to obtain & keep their registration, Osteopaths must provide an enhanced Criminal Record Bureau (CRB) check and have appropriate professional indemnity insurance in place. You're in safe hands with us! Chloe’s interest in Osteopathy started during her teenage years when she suffered with headaches, which lead her to consult an Osteopath. During the course of her treatment she learnt about the intricacies of eye movement and the complex mechanisms that control it, as well as the link between her headaches and her posture and especially how her neck muscles were involved in causing her tension headaches. Within a couple of sessions her headaches had gone but her curiosity with Osteopathy had only just started! 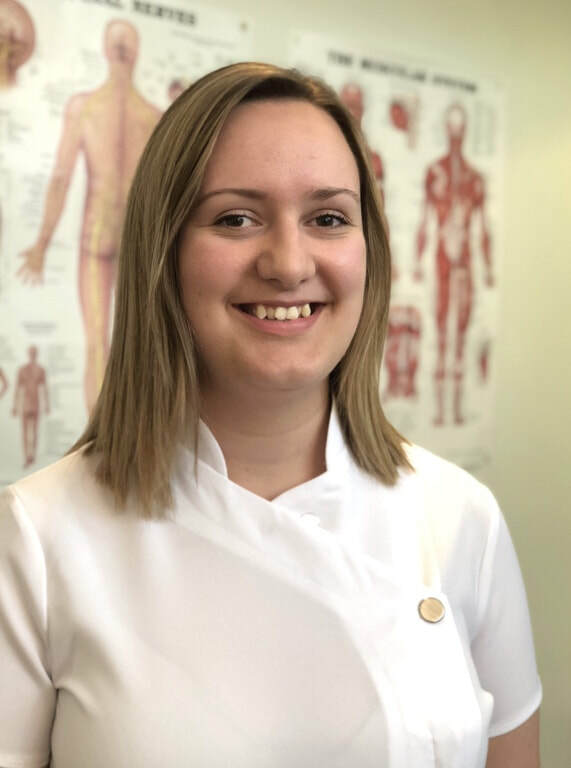 This experience inspired Chloe to become an Osteopath and she eventually graduated from Swansea University with a first class degree in Osteopathy. Whilst at university, Chloe took an interest in pregnancy and how Osteopathy could help relief common ailments that occur during pregnancy, such as low back pain, sciatica and rib pain. This became the focus of her dissertation and highlighted to her the multiple benefits Osteopathy can bring during pregnancy which is a time of significant musculoskeletal stress on the body. Following her interest in this field, Chloe applied for the prestigious Diploma in Paediatric Osteopathy, organised by the Osteopathic Centre for Children (OCC) in Wandsworth, London and is due to graduate in 2018 after 2 years of postgraduate study. This training offered her the opportunity to gain valuable experience in treating expecting mothers, babies, children and postpartum women (post-birth). 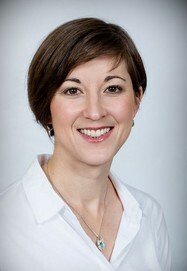 She also had the opportunity to attend the Neonatal Intensive Care Unit (NICU) at Barnet hospital in London, to assist with the osteopathic treatment of babies and infants within this centre, most of which are premature or severely ill.
As well as her specialist interest in Paediatrics (babies& children) and Obstetrics (pregnancy), Chloe enjoys general practice and also takes a special interest in the Osteopathic treatment of headaches. Massimo's experience with osteopathy started as a patient some years ago, when he experienced first hand the positive life changing results of osteopathic treatments. This revealing personal experience of pain relief and healing from a long-term problem inspired Massimo to requalify as an Osteopath after a 15 years career in the IT industry. He chose to train at the prestigious European School of Osteopathy (ESO) in Maidstone, Kent and graduated with an "integrated master degree in osteopathy" (M.Ost) after 4 years of intensive studies. The immense satisfaction of helping people feel better and live life to the full is what continues to motivate and inspire him. Massimo's approach to treatment draws from a wide range of osteopathic techniques including structural, visceral & cranial osteopathy which he tailors to each person's individual needs. Having worked in offices for many years, he is keenly aware of the postural dysfunctions that affect office workers. Massimo also has a special interest in sports injury which reflect his love for sports and outdoor activities, he especially enjoys skiing, snowboarding, mountaineering and endurance sports like running, swimming & cycling. In his spare time, Massimo enjoys life with his wife and two young children. Massimo is fully insured and registered with the General Osteopathic Council (GOsC) and the Institute of Osteopathy (iO). He is also registered with multiple private insurance company (please check). 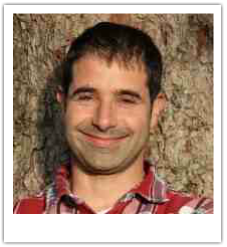 Call your Camden| North London Osteopath Today on 07784861505 to book your appointment with Massimo! We are university trained at masters level, registered with the General Osteopathic Council, fully insured and we have to submit an enhanced CRB check with our registration. Just like other professionals like your GP or dentist, we do a minimum of 30 hours of CPD per year (although often more) to ensure our knowledge remains up-to-date.